Does your assisted living facility offer seasonal menus for seniors? Making meals and snacks with locally-grown fruits and vegetables picked at the peak of ripeness provides many advantages, especially as compared to consuming pre-packaged processed produce. Fresh, seasonal foods have more nutrients than those shipped in from afar or processed and packaged. They’re also fresher and have more flavor. What’s in season in August? These are some of our favorite produce picks this month, for use in your seasonal menus for seniors. August is the month for melons! Cantaloupe, honeydew, and watermelon are all at their peak of freshness and flavor right now. Serve chunks on their own for a delicious snack or mix them into a summer fruit salad. Melons also make for great frozen desserts, smoothies, and slushy drinks. Plump, sweet blackberries are delicious when served with a dollop of whipped cream. They can also be featured in a variety of baked goods like muffins, cakes, and cobblers. Try tossing a few in hot or cold cereal for a bit of freshness at breakfast time. Tomatoes are at their best in August, and many seniors enjoy them with just a touch of salt. Roasted tomatoes are delectable with garlic and basil, served on crostini or tossed with freshly-made pasta. Jazz up your seasonal menus by featuring fresh tomatoes in summertime salads and sandwiches. Roasted sweet corn is especially tasty this time of year, as is slightly charred corn that’s grilled in the husk. For seniors who can’t enjoy sweet corn on the cob, try slicing it off and serving it in a fresh salsa or salad. You can also use this popular veggie for creamed corn, a seasonal menu favorite among older adults. August is prime time for cucumbers, and crisp slices are a great addition to the raw salads on your seasonal menus. Cucumber is also easy to juice, which makes it ideal for refreshing drink recipes and cold soups. If your food service staff is so inclined, you can even make your own pickles to serve as a part of your seasonal menus. Eggplant is incredibly versatile, healthy and popular with many seniors. Cubed, roasted eggplant is wonderful in pasta. Grilled slices with a bit of basil and feta cheese make for a satisfying senior meal. You can also try serving baba ghanoush – a creamy spread similar to hummus – with pita bread. Could your assisted living facility benefit from an easy source of dietitian-approved recipes to feature in seasonal menus for seniors? The Grove Menus software system is designed to make it simple to use fresh, locally-grown produce in creating meals and snacks for older adults. Along with hundreds of dietitian-approved recipes that can be modified to incorporate in-season produce, the Grove Menus system includes an integrated suite of user-friendly meal planning tools designed to facilitate food service operations. Our food menu program helps improve senior nutrition while reducing waste and cutting food costs at assisted living facilities. Adopting the Grove Menus system is a cost-effective way to plan delicious and nutritious seasonal menus for seniors. To schedule a free, no-pressure demonstration of how our food menu program can benefit your assisted living facility, contact us today. Dietitian-approved menus can address – and resolve – the many challenges of meal planning for senior vegetarians. 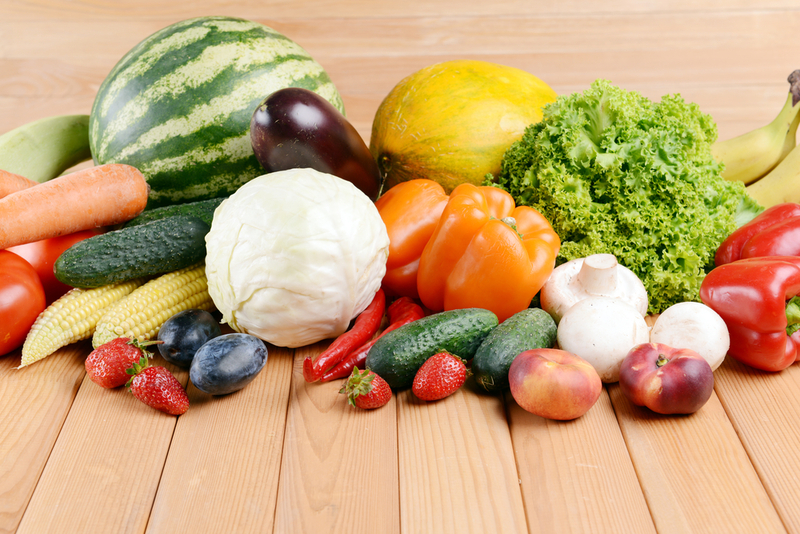 A well-planned vegetarian diet, focused on serving a variety of the right types of foods, can meet the unique nutritional needs of older adults. With dietitian-approved menus, seniors at adult care centers can eat vegetarian and stay healthy – not to mention, a dietitian-approved food menu program makes meal planning much easier. Planning healthy meals that meet the dietary needs of vegetarians doesn’t have to be difficult, especially with our handy meal planning tips. For seniors on a vegetarian diet, experts recommend including a source of protein with all meals. Fish, eggs, and dairy are great sources of protein, but are problematic in meal planning for vegans and some lacto-vegetarians. Fortunately, plenty of other options – including soy foods, legumes, beans, lentils, nuts and nut butters – can provide the protein seniors need. In the process of meal planning, focus on including all the nutrients required for senior health. The more restrictive a vegetarian diet, the more difficult it can be for older adults to get critical nutrients. 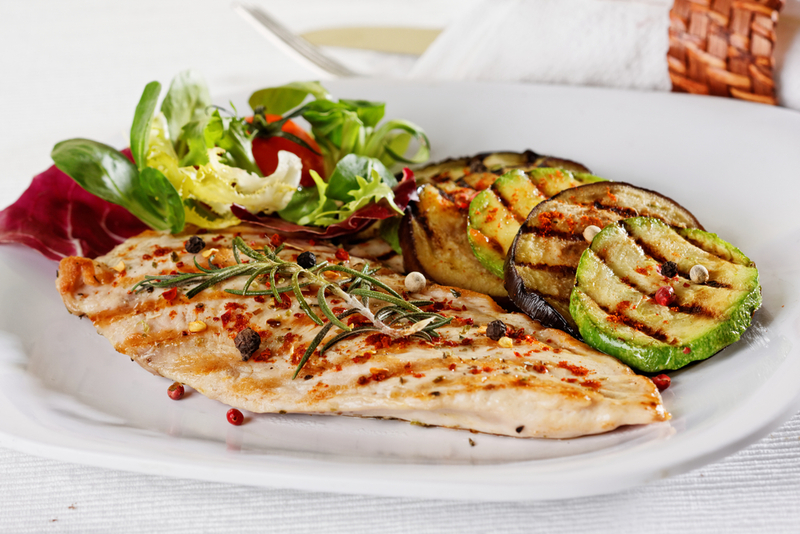 To that end, dietitians recommend serving a range of foods that contain vitamin B12, vitamin D, zinc, iron, calcium and omega-3 fatty acids. Dairy products, eggs, beans, seafood, fatty fish and green veggies, among many other vegetarian-friendly foods, can provide these nutrients in abundance. 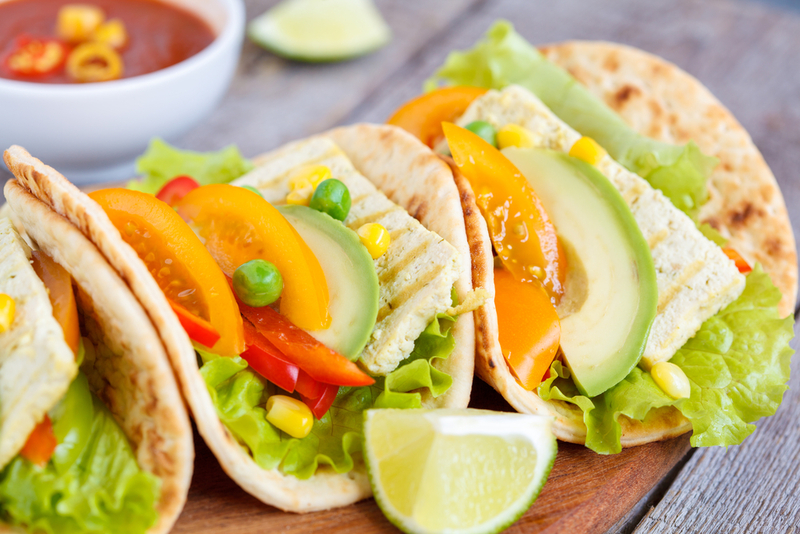 Many popular menu dishes can be easily adapted to fit into a vegetarian diet. Burritos can be made with beans and cheese, rather than chicken, pork or beef. Pasta with marinara or pesto sauce, instead of a meat-based sauce, is also a crowd-pleaser for senior vegetarians. Other health options include veggie pizza, tofu-veggie stir fry, and vegetable lasagna. Vegetarian meat substitutes often look and taste much like their non-vegetarian counterparts – and they’re usually a better meal planning choice in terms of saturated fat and cholesterol. Soy-based sausage patties are great for breakfast, and veggie burgers, bean burgers and falafel can bring flavor and nutrition to senior lunches and dinners. Or, add meat substitutes like tempeh, tofu, and seitan for a protein boost in soups, stews and casseroles. To ensure senior vegetarians get a full range of nutrients, include fortified foods in your meal planning. Many cereals, breads, fruit juices, and milks are fortified with vitamins and minerals that may be lacking in the typical vegetarian diet. Dietitian-approved menus for vegetarians include more of these foods to help meet the dietary needs of older adults. Creating delicious and nutritious meals and snacks for vegetarians is a breeze with Grove Menus. Our food menu program is packed with meat-free recipes, and our dietitian-approved menus can be easily modified for the vegetarian diet. In addition to meal planning, the Grove Menus system also offers a suite of user-friendly program tools designed to save time, reduce waste and cut food costs. For more information on our food menu program, or to schedule a free, no-pressure demonstration of our dietitian-approved menus, contact us today. Developing healthy ice cream recipe ideas for seniors is no simple task – nutrition is key, but both the flavor and texture must be on point. July is National Ice Cream Month, so now’s the perfect time to look for quick and easy frozen dessert recipe ideas for seniors. Below are four of our favorite healthy ice cream recipes to try. Peanut butter and banana is a much-loved flavor combination – and this two-ingredient frozen treat really couldn’t be easier. Place frozen bananas and creamy peanut butter in the food processor, then blend until smooth for a delicious dessert. For an added flavor boost, garnish with dark chocolate shavings, chopped peanuts or toasted coconut. Fruity frozen desserts are senior favorites in the summer, and this tasty treat — with no dairy and no added sugar — definitely delivers on nutrition. Whir up frozen pineapple and frozen mango in the blender or food processor, adding lemon or lime juice and a small amount of water to balance out the sweet flavor and create a smooth, creamy texture. Top with toasted coconut or fresh fruit. 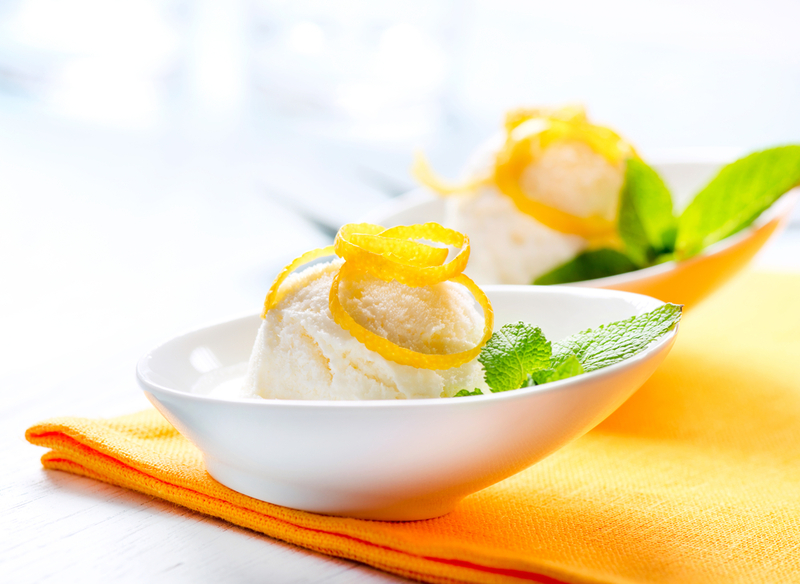 A frozen treat that offers the flavor of lemon cheesecake – minus the fat and calories – is sure to be a crowd-pleaser at any adult care center. Whisk low-fat milk together with non-fat sweetened condensed milk and lemon juice. Freeze in a shallow pan until solid, then break it up and blend in the food processor until smooth. For a flavorful garnish, try fresh berries and graham cracker crumbs. Frozen yogurt is refreshing in the summer, and this tasty and healthy recipe idea comes together in just a few minutes. Combine frozen unsweetened strawberries and a bit of granulated sugar (or sugar substitute) in a food processor. With the machine on, gradually add a mixture of non-fat plain Greek yogurt and lemon juice. Blend until smooth, then garnish with fresh banana slices or mini chocolate chips. Would you like more healthy ice cream recipe ideas for seniors? The Grove Menus meal planning system has hundreds of dietitian-approved menus and easily-adaptable recipes designed to meet the unique nutritional needs of older adults. For assisted living facilities, group homes, nursing home and adult care centers, the Grove Menus program offers a user-friendly, cost-effective approach to meal planning. Our suite of food menu program tools is designed to reduce food waste, cut food cuts and improve senior nutrition. To learn more about the Grove Menus meal planning system, or to schedule a free, no-pressure demonstration of how our food menu program menu provides quick and easy access to dietitian-approved recipe ideas for seniors, contact us today. Menus for assisted living facilities are constantly changing to satisfy their residents. Today’s seniors – many of whom are from the baby boomer generation – have very different needs and expectations than their predecessors. The new population of older adults tends to be educated, well-traveled and affluent, and all of these factors must be considered in planning meals and snacks. Baby boomers are redefining menus for assisted living facilities. Below, we take a look at some of the top food menu program trends for 2018. Baby boomers expect variety, so menus for assisted living facilities are expanding to provide a wider range of meal and snack options. International cuisine, local favorites, seasonal foods and more are interspersed with much-loved classics to create inspiring, varied menus. These days, seniors prefer a casual dining environment with few restrictions. To that end, instead of set hours for meals and snacks, adult care centers are aiming for flexibility. Nutritional needs are met, but residents can come and go as they like. Today’s adult care centers are putting a larger focus on food quality. Baby boomers demand the best, and institutional-style menus that feature processed foods offer little appeal. So, assisted living facility residents and their guests are now served restaurant-quality meals inspired by the latest trends. Fresh foods used to be reserved for meals – snacks consisted of prepackaged or processed foods like graham crackers, gelatin and pudding. That’s no longer the case today. Residents of adult care facilities can snack on fresh fruit, freshly-baked muffins, hot-from-the-oven cookies and many other fresh foods. Buying local has gone beyond a trend to become an expectation for baby boomers. Seniors appreciate seeing locally-sourced foods from vendors of distinction on the menu. To boost resident satisfaction, adult care centers are now getting many of their foods from nearby farms, local artisans and in-town food producers. 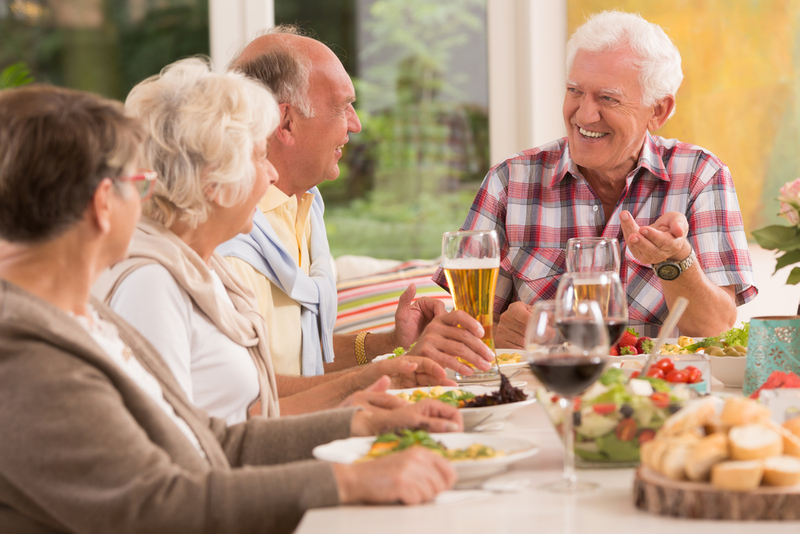 Baby boomers grew up attending social activities and gatherings that involved food – birthdays, holidays, graduations, anniversaries were all occasions to entertain, and many seniors held frequent dinner parties. Adult care facilities are working to create this type of social atmosphere by holding themed meals featuring fun party foods and upscale menu options. When it comes to menus for assisted living facilities, resident satisfaction is crucial. Meals and snacks need to be delicious and appealing to keep seniors happy – but at the same time, the food menu program needs to provide proper nutrition. Grove Menus makes it easy to meet both the nutritional needs and meal expectations of today’s seniors. Our cost-effective software system, with a suite of user-friendly food menu program tools, allows adult care centers to change with the times – without increasing their food service budget. The Grove Menus software system includes hundreds of adjustable dietitian-approved recipes for seniors, which saves on the expense of keeping a registered dietitian on staff. Our food menu program also facilitates food ordering and meal production to save time and reduce waste. For more information about the Grove Menus software system, or to schedule a complimentary, no-hassle demonstration of how our food menu program will help you create on-trend menus for assisted living facilities, contact us today.